Greetings from The 88 Project! We are bringing you news, analysis, and actions regarding human rights and civil society in Vietnam during the week of November 13-19. Mother Mushroom will appeal her 10-year sentence on November 30; her health in prison is still in precarious condition. So is that of activist Luu Van Vinh, who has now been in pre-trial detention for over a year; his family met with him for the first time this week. Several activists were detained and questioned this week: Truong Van Dung after staging a protest during the APEC Summit; and Nguyen Quang A, Bui Thi Minh Hang, and Pham Doan Trang after meeting with EU representatives. Fifteen civil society organizations and 60 individuals issued a joint statement to condemn such conduct by the government. Freedom House has deemed Vietnam “Not Free” under their Freedom of the Net 2017 report. There is also news and analysis this week regarding press freedom, religious freedom, and fallout from the APEC Summit. Please take actions from Front Line Defenders for the activists detained after the EU meeting and from PEN International for Mother Mushroom on the occasion of the Day of the Imprisoned Writer. Imprisoned blogger Nguyen Ngoc Nhu Quynh, a.k.a. Me Nam, will face an appeal trial on November 30 in Nha Trang. She was sentenced to ten years in prison in June 2017. In prison, Quynh’s health is still of great concern. Quynh’s mother, Ms. Nguyen Tuyet Lan, visited her on October 23 and shared on Facebook that Quynh was in poor health, and that her requests to send vitamin supplements and the Bible to Quynh were denied. According to her mother, Quynh looked pale and weak. She has not been able to sleep at night as she has cramps due to the cold weather. There are also concerns for the health of prisoner of conscience Luu Van Vinh, who has been in pre-trial detention since November 6, 2016. Authorities claim to have ended his pre-trial investigation period and are recommending he be prosecuted under Article 79 for subversion. His wife and two kids met with him for the first time since his detention, over a year later, on November 13. The meeting was only 15 minutes long. His wife reports his health is worsening; he looks slim and has poor skin and weakened vision because glasses are prohibited. Vinh received the news that his father had passed away since his detention began. His wife, Nguyen Thi Thap, has also been forced to close the family’s business due to police harassment. Vinh, a handyman, and his friend Nguyen Van Duc Do, were both arrested for their roles in protesting Chinese activity in the South China Sea and the toxic Formosa spill that began in April 2016. 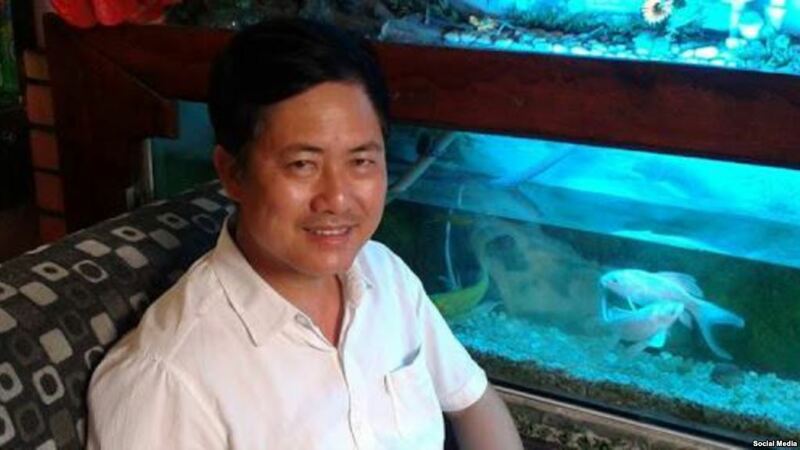 Hanoi police kidnapped activist Truong Van Dung for a day-long interrogation about his connection with the Brotherhood for Democracy after he defied police summons. He staged a protest last week calling on APEC leaders to not forget about human rights. He was put under police surveillance during the Summit and was locked into his home at night. Dung and another man, Le Anh Hung, had been called in for police questioning for their ties to the Brotherhood for Democracy just days before the APEC Summit began in Da Nang, Vietnam. They did not heed the summons, saying that they had not committed any crimes and should have the right to freedom of association to participate in the group. On November 16, three activists were detained after meeting with EU representatives in Hanoi ahead of the EU-Vietnam Human Rights Dialogue in December. Nguyen Quang A, Bui Thi Minh Hang, and Pham Doan Trang were all detained and later released, but Trang was detained for several hours before being released in the evening and her communications devices were confiscated. Blogger Chi Tuyen also met with delegates but was not detained. Dr. Quang A reports this is his 14th arrest this year alone, highlighting the constant harassment and surveillance activists face inside Vietnam. Trang was recently interviewed by the BBC about the challenges activists face. She is a member of the newly-launched The Vietnamese’s editorial board. The activists’ reports on the human rights situation in Vietnam are available in English here. Fifteen Vietnamese independent civil society organizations and sixty individuals have issued a Joint Statement on the Kidnapping and Detention of Pham Doan Trang, Nguyen Quang A, and Bui Thi Minh Hang (scroll down for the English version). They condemn the government’s treatment of the activists, “through the illegal detention and unlawful taking of their personal property,” as “a direct attack on independent civil society and its development in Vietnam,” and that “these conducts show the government’s willingness to disregard the rule of law and their own laws in their attempt to suppress independent voices.” The signers called upon the European Union to bring this matter as well as other grave matters to the Vietnamese government. The Ministry of Information and Communication issued an order to prohibit the online magazine Nguoi Quan Ly (The Manager) from engaging in any and all publication activities for three months, due to an August 21, 2017 article it had published in relation to the anti-corruption campaign in Binh Phuoc Province. The magazine was also fined 40 million VND (approximately 1,800.00 USD) for this piece. Read this analysis by The Vietnamese on the case and how it illustrates, once again, the lack of freedom of the press in the country. Freedom House has released its Freedom of the Net 2017 report, which finds that 36% of Internet users in the world live in a country with Internet classified as “Not Free.” Vietnam is ranked as “Not Free” with a total score of 76/100 (100 being the least free score possible), unimproved from recent years and one of the worst scores of all countries analyzed. Read the full country report here, including key developments from June 2016-May 2017. Giving Tuesday is November 28. Please read our Letter of appeal and donate to support us in our work. November 15 marked the Day of the Imprisoned Writer. PEN International highlighted Mother Mushroom’s case, believing “that Me Nam is being targeted for peacefully exercising her right to freedom of expression.” Take PEN International’s action for Nguyen Ngoc Nhu Quynh (Me Nam), calling for her immediate release. Share Front Line Defender’s Urgent Appeal (scroll for pdf of Appeal) and Vietnamese civil society’s Joint Statement following the detention of three human rights activists by police after their meeting with EU officials this week. They call on the Vietnamese government to cease the harassment and surveillance of the activists and to return Pham Doan Trang’s confiscated phone and computer.